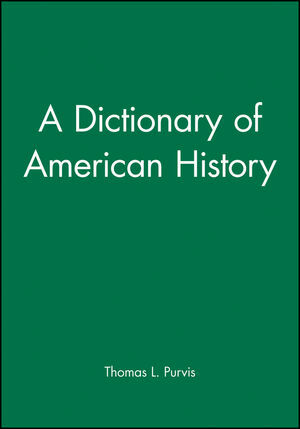 This book is concise, easy -to-use guide to the individuals, peoples, parties, movements, events, decisions and wars that have shaped the history of the United States. Thomas L. Purvis has a BA from Washington University in St. Louis and a PhD from The Johns Hopkins University. Having taught at the Peabody Conservatory of Music, the University of Georgia, Auburn University, and the College of William and Mary, he now devotes his time to historical research and writing. His books include The Historical Almanac of Revolutionary America 1763-1800 (1995), and Proprietors, Patronage and Paper Money (1986). He contributes to American National Biography as an associate editor. Full coverage of America's ethnic and religious diversity.